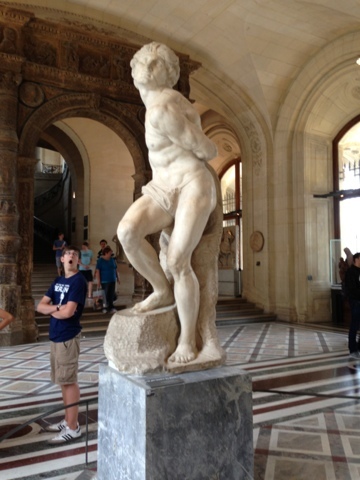 Love this image of Michaelangelo's slave and the small yawning tourist. 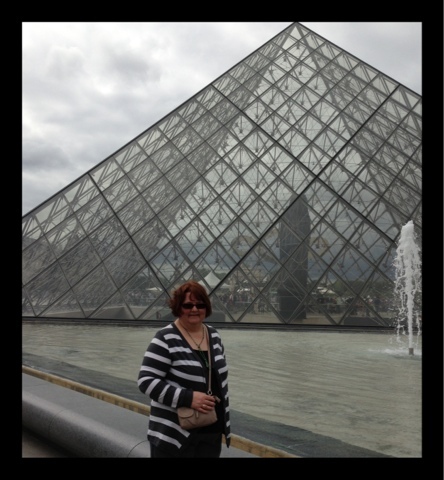 I love his work and was happy to see two of his sculptures at the Louvre. 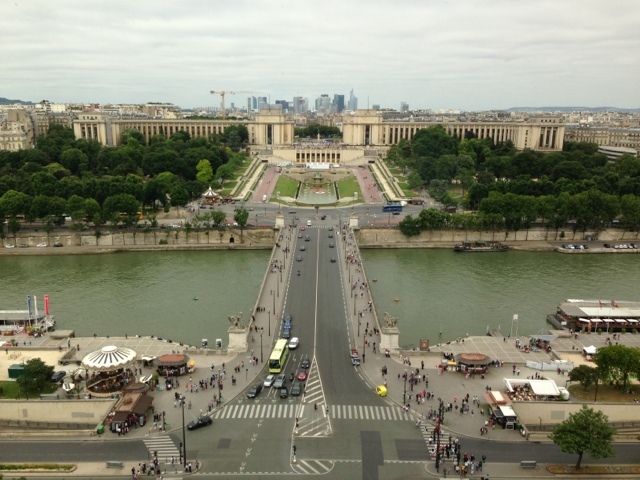 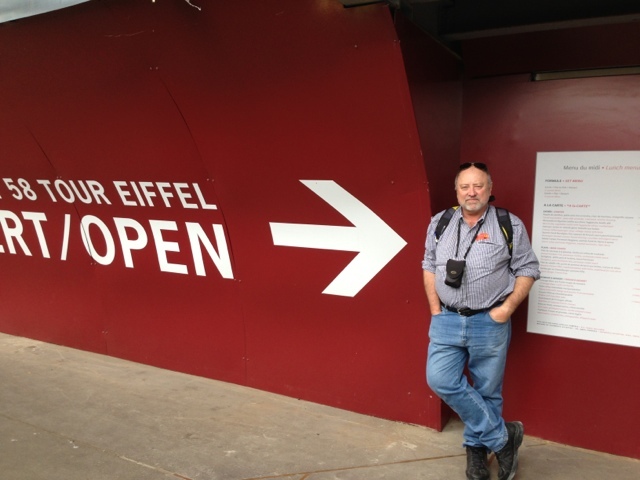 This image was from the first floor of the Eiffel Tower - where we had lunch at the restaurant. 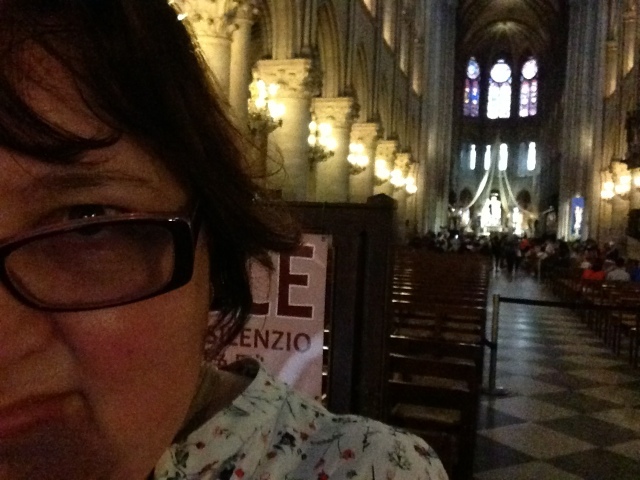 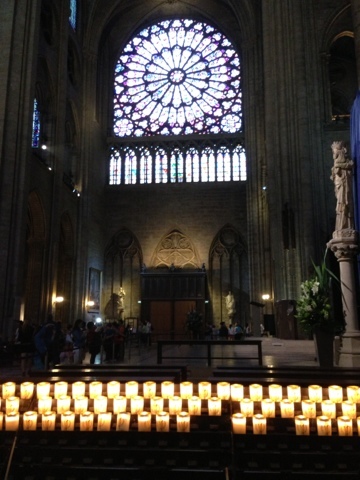 You can light a candle for a prayer under the Rose window.